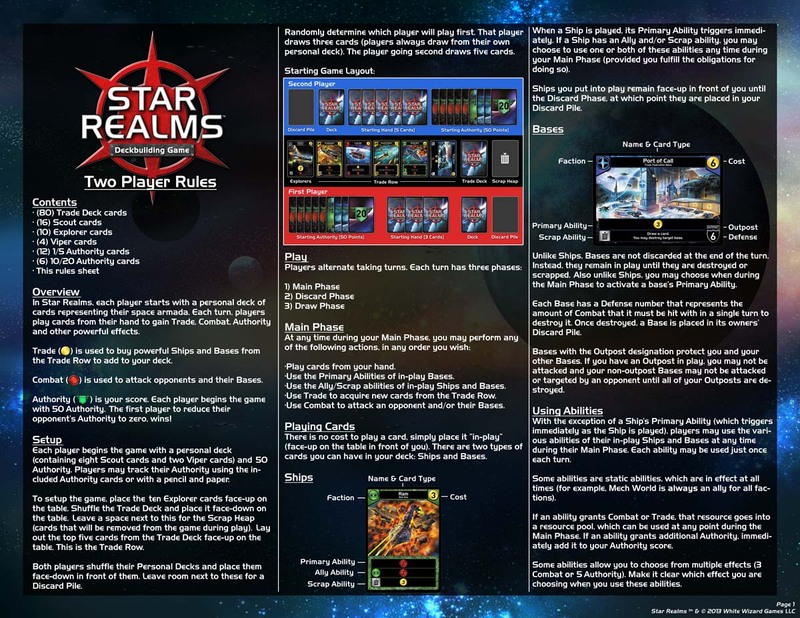 Star Realms is a space combat card game, pitting players against each other in a fight for dominance over the entire galaxy. To accomplish this, players must steadily grow their deck’s weak starting fleet into an armada powerful enough to overwhelm the opposition. 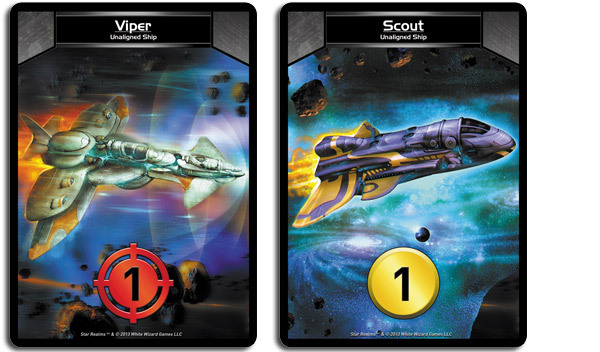 Each player starts the game with a Personal Deck composed of 10 Ships: eight Scouts and two Vipers. Scouts provide one Trade. 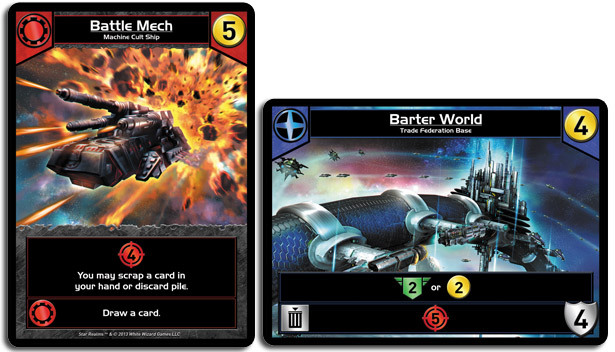 Trade is used to acquire Ships and Bases from the Trade Row to add to your deck and make your deck better. Vipers provide one Combat. 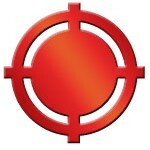 Combat is used to attack your opponent’s Authority and win you the game. It can also be used to destroy enemy Bases. Trade is used to acquire Ships and Bases. Combat is used to destroy Bases and to attack your opponent’s Authority. Each player starts the game with 50 Authority. The goal of the game is to reduce your opponent’s Authority to 0. 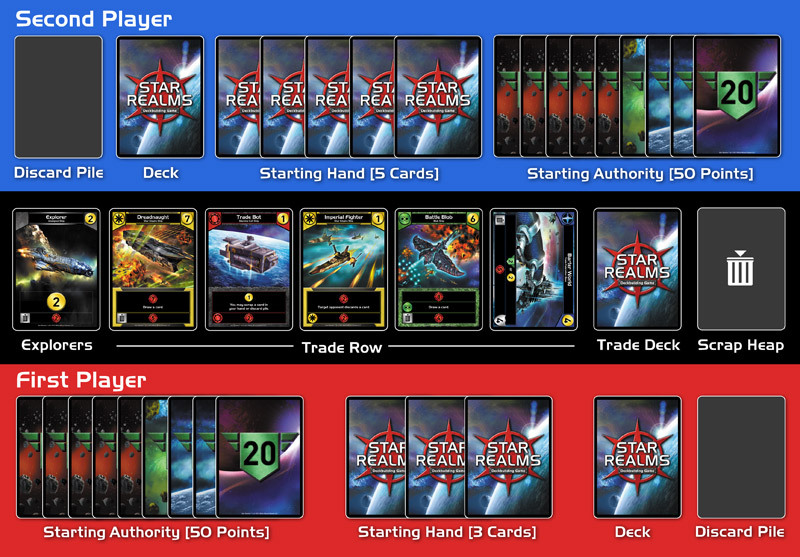 The players use one Trade Deck composed of Ships and Bases. The top five cards of the Trade Deck are turned face up and used to form a central Trade Row of cards between the players. These cards can be acquired using Trade. When a card is acquired, it’s immediately replaced with the top card from the Trade Deck. In addition to the five cards in the Trade Row, players can also use Trade to acquire Explorer class ships, which are kept in a separate pile next to the Trade Row. There are two types of cards: Ships and Bases. Ships are used to generate effects and supply resources that help you win the game. This is also true of Bases, but when you play a Base it’s placed face up in front of you and stays there until if and when your opponent destroys it. As long as a Base stays in play, it offers its benefits to you every turn. As you acquire Ships and Bases from the Trade Row, they are placed into your discard pile. When your Personal Deck runs out of cards, you’ll shuffle your discard pile into a new Personal Deck. In this way you’ll gain access to the powerful Ships and Bases in the Trade Row and be able to determine the strategy and direction for your Personal Deck to attack and defeat your opponent. 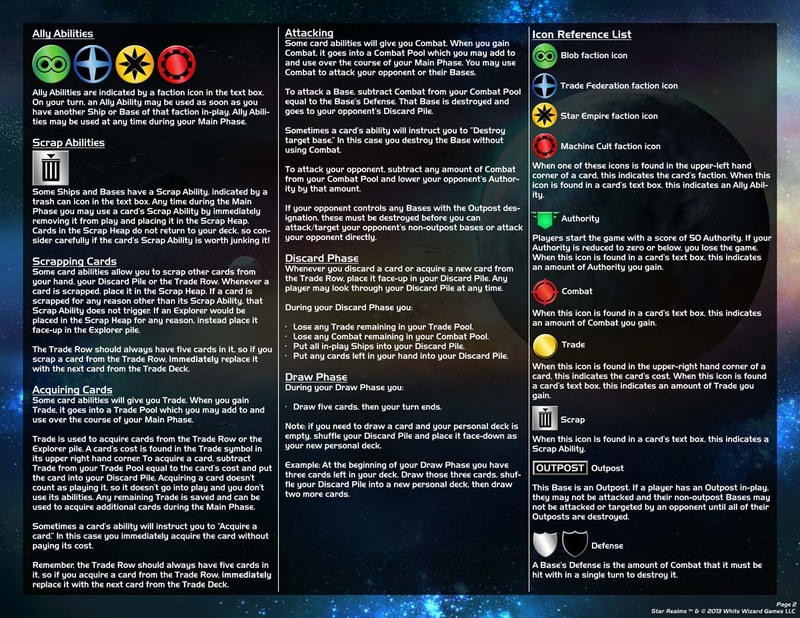 In order to win the game, you need to attack your opponent’s Authority using Combat, which can be generated with Ships and with Bases. 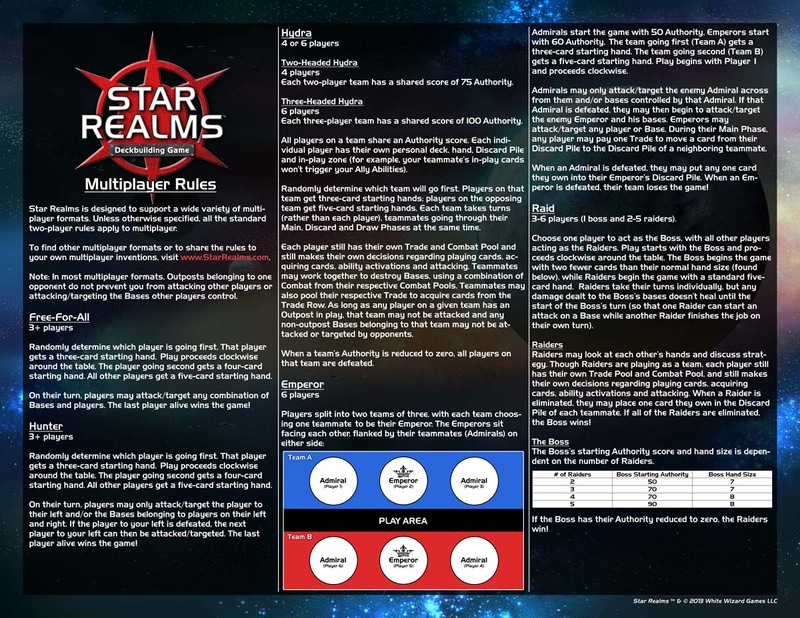 Each player starts the game with 50 Authority. 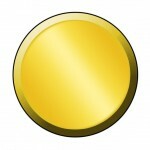 If you reduce your opponent’s Authority to zero, you win!